Lovebirds are among the few animals that choose a partner for life. 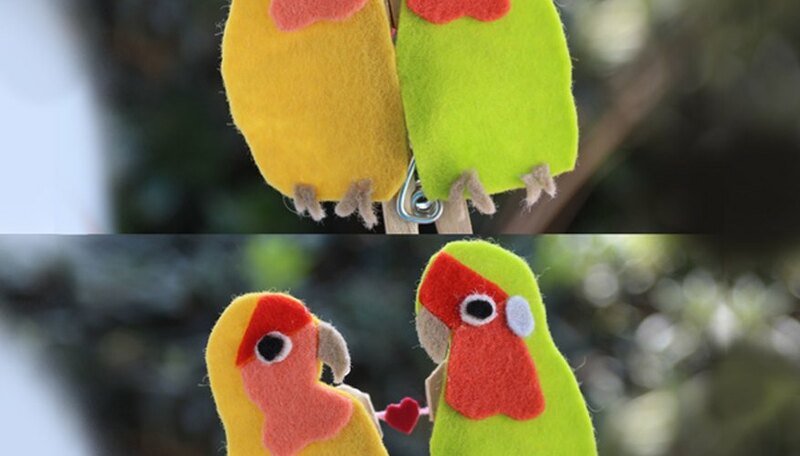 Making felt lovebirds is a great way to show someone how special they are to you. 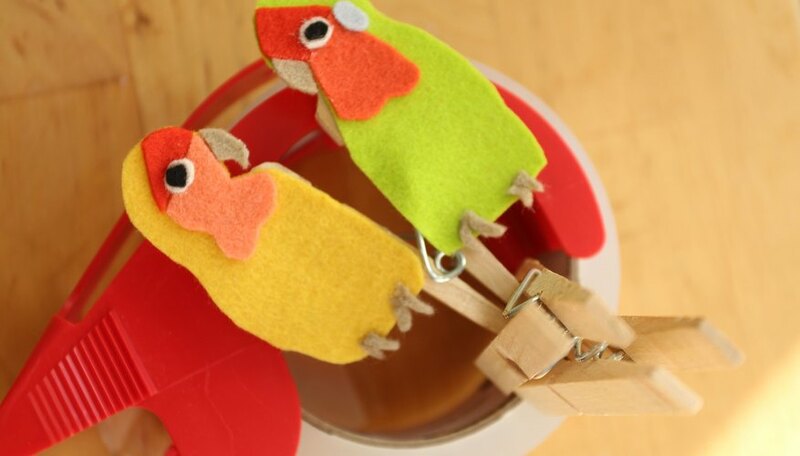 These felt birds are perched on a wooden clothespin. They kiss when the pin is closed, and show their shared heart when the pin is open. 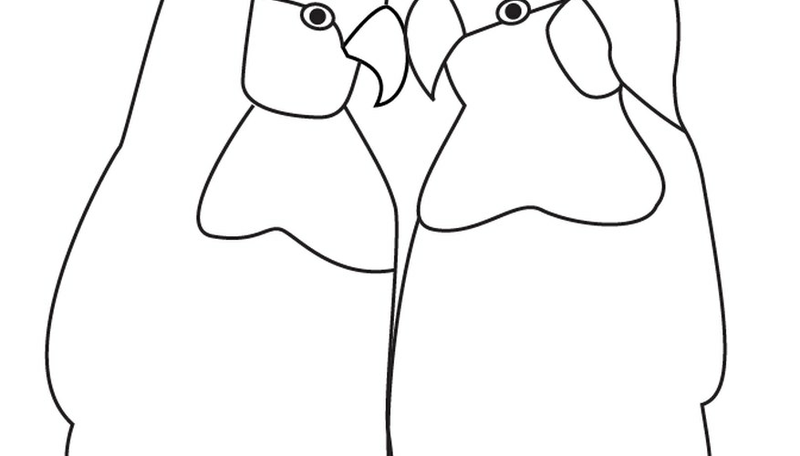 Print out two copies of the lovebird template (see link below). As you select colors of wool felt, you may want to look at photos of lovebirds online or in books, as lovebirds come in many, beautiful color combinations. 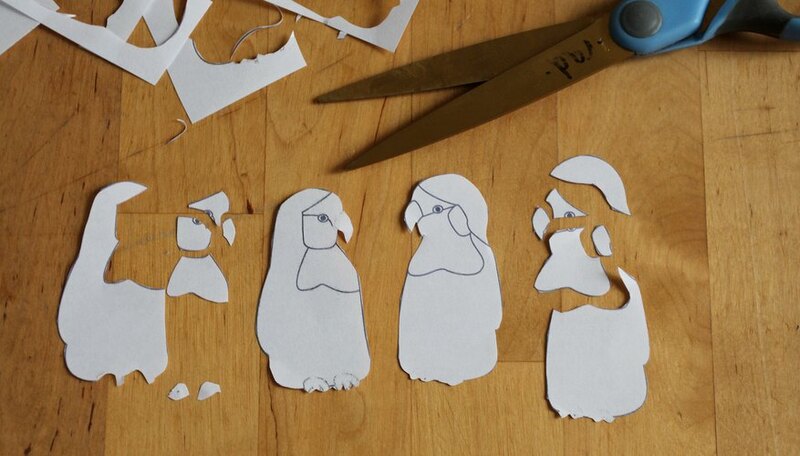 Use your scissors to cut out the outline -- only the outline -- of one set of the template birds. With the other set, cut out each of the individual details. 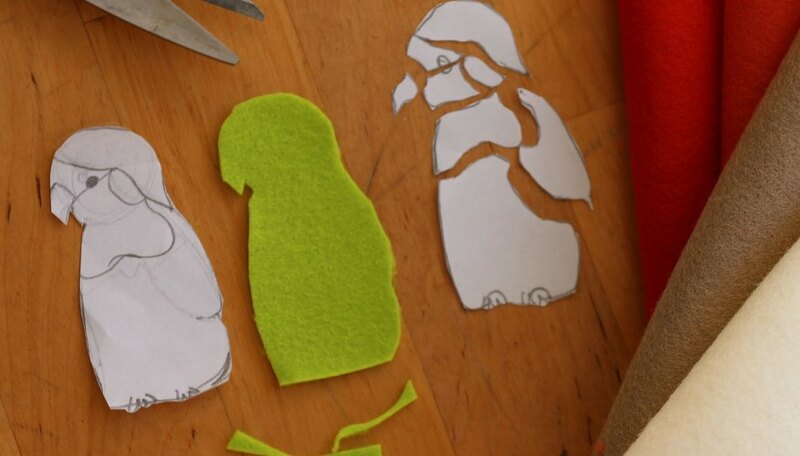 Hold each pattern piece against a piece of wool felt and cut out that shape. Select a piece of wool felt that most closely matches the majority of that bird's feathers. Match up each bird's "puzzle pieces" with wool felt of a similar color, and cut out all of the little shapes. Keep the shapes of each bird separate so that you won't get confused when it's time to glue them down. 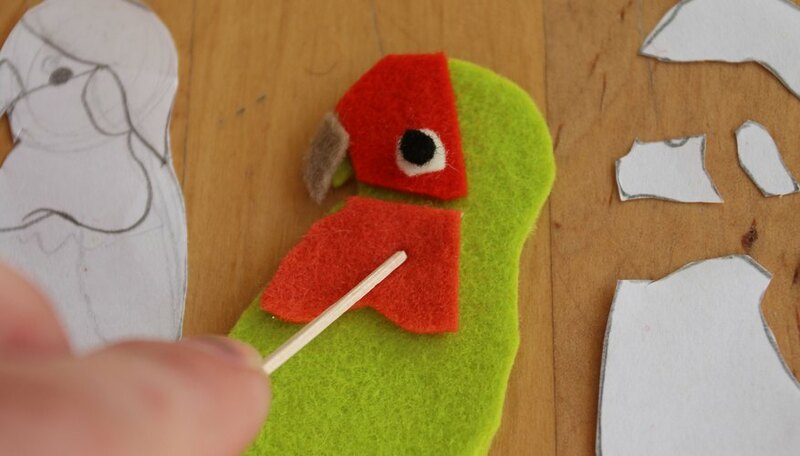 Use small drops of fabric glue to stick your felt "puzzle pieces" on top of the bird's body. 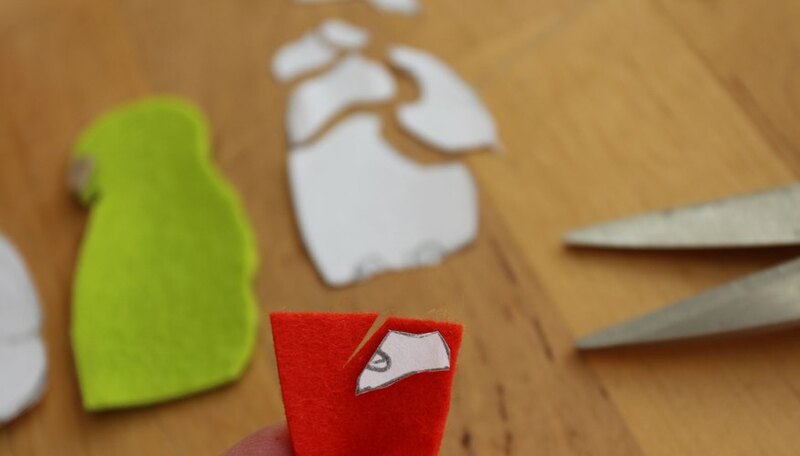 Use a toothpick if you need some help spreading glue on the back of your felt pieces, or to help you push down tiny pieces like the eyes. When all of your pieces have been glued on, let the birds dry completely. 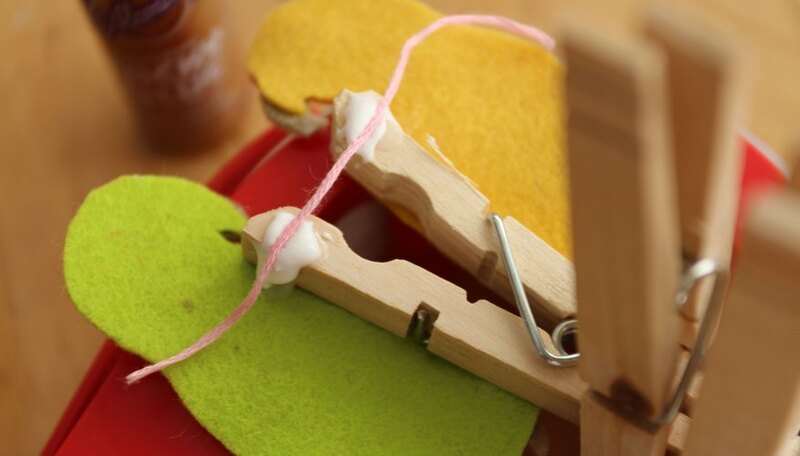 Spread a small and even coat of Tacky Glue on the front side of the wooden clothespin. Be careful that the glue doesn't drip down into the "mouth" of the pin. 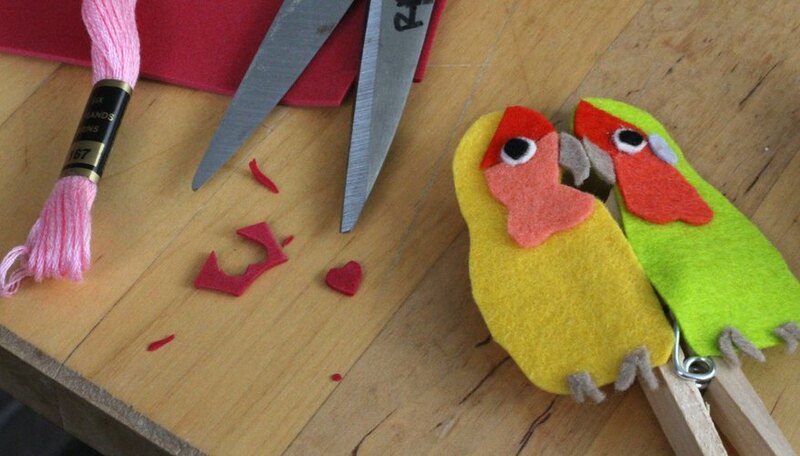 Glue the birds as close to each edge of the clothespin's arms as you can, so that when the clothespin is shut, their beaks are touching. 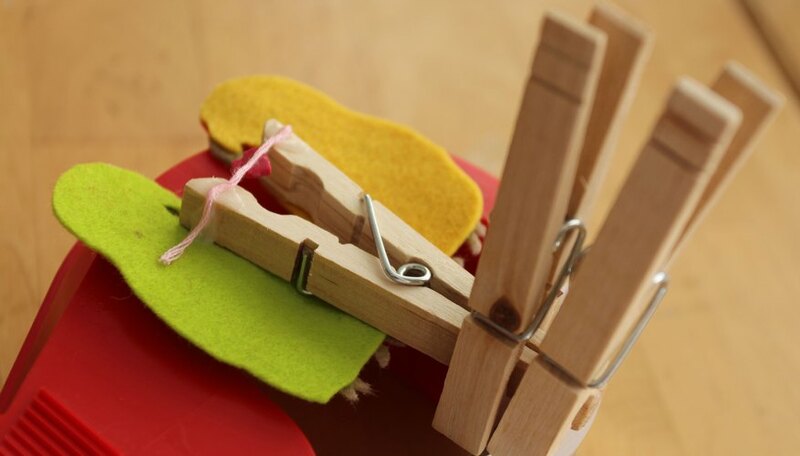 To help ensure that your clothespin doesn't get stuck in a closed position as the glue dries, use two extra wooden clothespins to help prop it open. Turn the clothespin upside-down so that you see only the backs of the birds. Cut a length of embroidery floss long enough to reach from one side of the open clothespin to the other. Position and glue the embroidery floss as high as possible on the back of the clothespin. 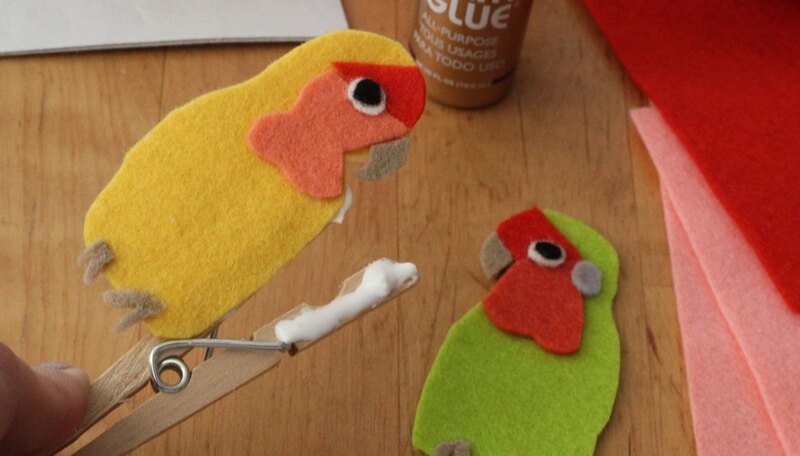 Use the extra clothespins to prop open the birds again while the embroidery floss dries. Cut out a tiny heart from red sheet foam (or red construction paper if you can't find sheet foam). The heart should be small enough to fit between the birds when you the clothespin is open. Place a tiny bit of Tacky glue on the BACK of the foam heart, and glue it to the FRONT of the embroidery floss. Let the heart dry completely. You will need to prop the clothespin open again, and you may need to hold the foam heart against the embroidery floss for a few moments while the glue begins to set. 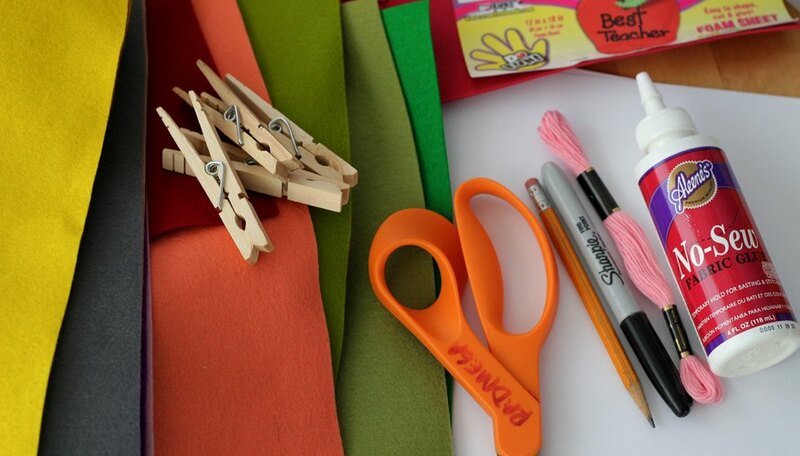 Open and Close the Clothespin to Reveal the Heart! 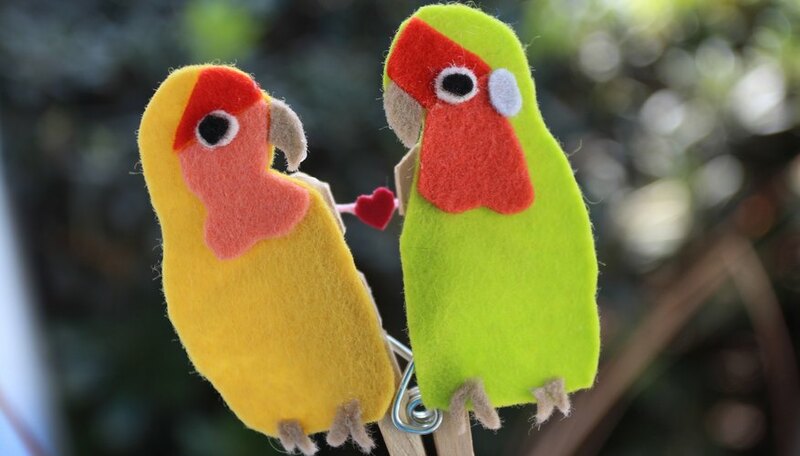 Open and close your lovebird clothespin to your heart's content!